Somehow it has happened again, and there is a new, ridiculously addictive, Civilization game in our hands. Sure, there are a few flaws here and there along the way, and Civilization VI is not a perfect game. However, it is still arguably the most engrossing 4X game out there. It recalls the most successful and engaging aspects of the series' past games and still manages to innovate in interesting new ways. Related reading: Matt looks back at Civilization 2 in a retro reflections feature; still considered by many to be the pinnacle of the series. I have been a regular Civilization player for many years now, right back from the second entry in the series, which w my introduction. If you are new to the series, the learning curve will be quite steep. Thankfully the game's tutorial is solid and there is plenty of information in the help files. Even veterans of the series will have to come at the game somewhat differently due to some of the newer innovations. One of the most interesting changes comes in the form development. You can still hunker down with your settlers and set up shop where you see fit, and over time as your population grows your borders will as well. This part will be immediately familiar to fans of the series and frankly, many 4X strategy games in general. However, there is an extra dimension now that took me a little getting used to, but once I learned the nuances of it found myself wondering how I ever got by without it. Your land offers resources right out of the box, but you can create builders to cut down trees, or to enhance your land in places. There are new enhancements called districts as well, and they require a physical space - usually near your city. So building right next to water or mountains, or having too many trees nearby might curb your ability to build a useful district. There were times where I had to decide what was going to be most important for me, and then build accordingly. This was a challenging aspect of the game early on, but by my third match I was looking at my cities in a whole new light. Now I was designing them in a very basic kind of way, but it is a new element that I really enjoyed as this element of city planning really made me think ahead more than in prior versions of the game. Next up, the ability to grow and create new policies that place into your chosen form of government is a nice touch. As with previous Civilization titles, different forms of governments (from monarchy through democracy) come with their own inherent bonuses, but they also come with 'slots'. these slots come in different flavours, such as military or economic or even an open-ended wildcard one. As you unlock new policies, you can't apply them all, and they all have their own benefits. So you need to decide which of the militaristic ones you want to plug into that red opening in your government (or openings as each one has its own 'format'). This ability to mix and match was a little confusing right at first, but like the districts it is one of those features I found myself wondering how I ever got along without it in prior games. There are a handful of things that hold the game back, and a couple of items that I'm still undecided on. The Agenda System is a neat idea where you are tasked with performing certain tasks that align with the nature of your civilization, but not doing them can impart some hefty penalties that seem a bit too harsh. 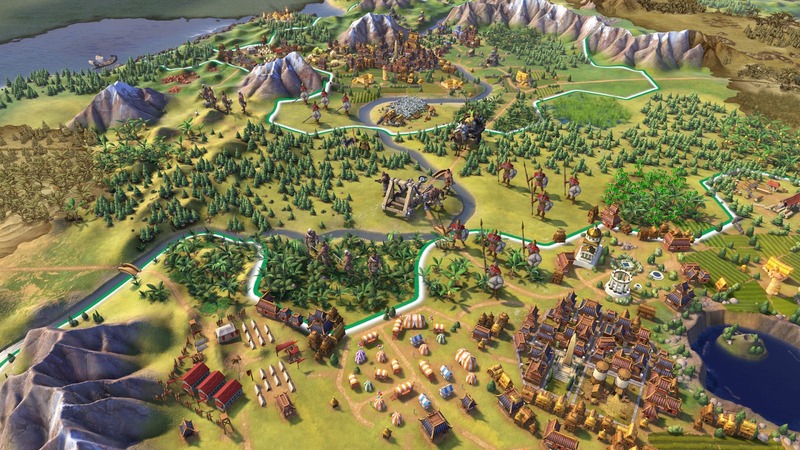 It is a very good idea to give each civilisation, from the Americans through Mongols, a different play style above and beyond just a special unit or small stat bonus at the beginning of the game, which is what previous games have defaulted to, but not to the expense of allowing players to be creative with how they play. There is also the idea that religions can have a theological war going on in parallel to the national conflicts. This isn't bad by any means - in fact I think it is a pretty cool idea, but in what is otherwise a deep and nuanced game, the implementation of religious conflict doesn't have a lot of depth and winds up feeling more like noise than something of particular interest. Then there are the issues that need to be discussed. There are some bugs here and there - seldom anything substantial, but annoying. I would sometimes get my turn into a hung state where I couldn't automatically advance my turn until a particular unit made its move, but hitting the button in the lower right corner to auto-focus on that unit in order to move it was not working. This forced me to manually click through each and every unit until I found the right one. In early stages where you have four or five units, so it's not a big deal, but in the later game this can be a brutal, pointless, time sink. Also, there's been three instances now where trying to quit the game to desktop hasn't worked - the image just remains up on the screen frozen, forcing me to kill the app via Task Manager. 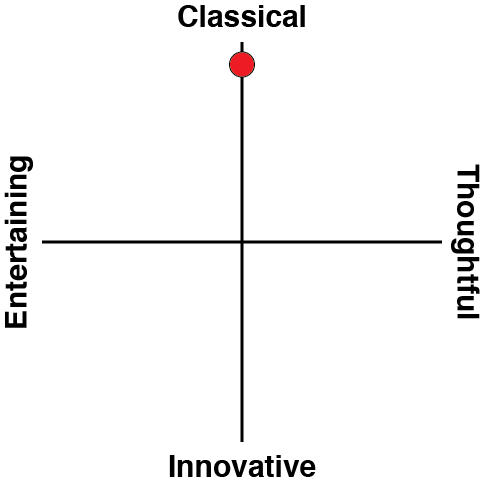 Last but certainly not least is the AI, which is very artificial and not terribly intelligent at times. Barbarians are a good deal more intelligent than the useless fodder that they have been in years past. They have actual attack parties, use terrain to their advantage and pick their spots wisely by looking for your weaker settlements and avoiding your stronger one. However, regardless of the difficulty setting, rival nations do not make the best overall decisions. In one instance Egypt decided to declare war on me while already fighting two other countries when I was content to ignore them. Naturally I swept in from their backside and wiped them out as a result. At other times, the enemy would surround my city with units and simply choose not to attack. Now admittedly my units had the upper hand as fortified defenders who specialised in defence but... why declare war and be the aggressor if you're just going to sit around doing nothing for dozens of turns until my reinforcements can arrive from elsewhere? Civilization games have always needed better simulations for sieges, and the AI in this one highlights that as clearly as we've ever seen. 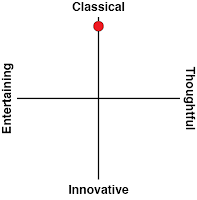 Of course, most strategy games have issues with AI in some form or another, however, with the big name that accompanies Civilization and the copious amounts of polish everywhere else, I suppose I just hoped for something more in that department. Speaking of the polish, it is worth noting that Civilization VI has a really good overall presentation. Music is good, if not my absolute favourite in the series. However, the voice narration is spectacular. Sean Bean's voice is immediately recognisable as he reads off bits and pieces about advancements in technology and more during the course of gameplay and is a hugely welcome addition. The visuals look good, but I suspect the direction the team moved in will not be a hit with all. 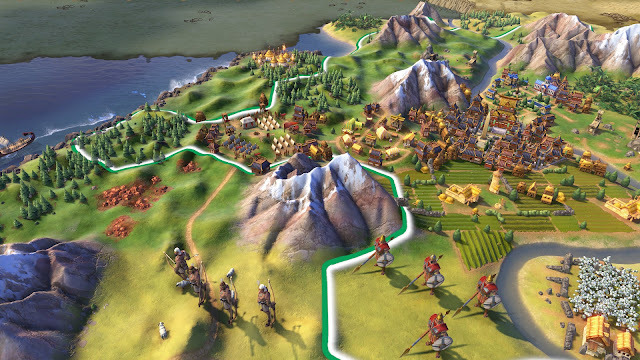 The interface looks clean and it is generally pretty easy to tell units and terrain apart, but Civilization employs a more cartoon-ish style both with how leaders are portrayed and the overworld map design. It is bright, vivid, well animated, but hardly a technological marvel either. Related reading: Our interview with the associate producer of Civilization VI; Sarah Darney. 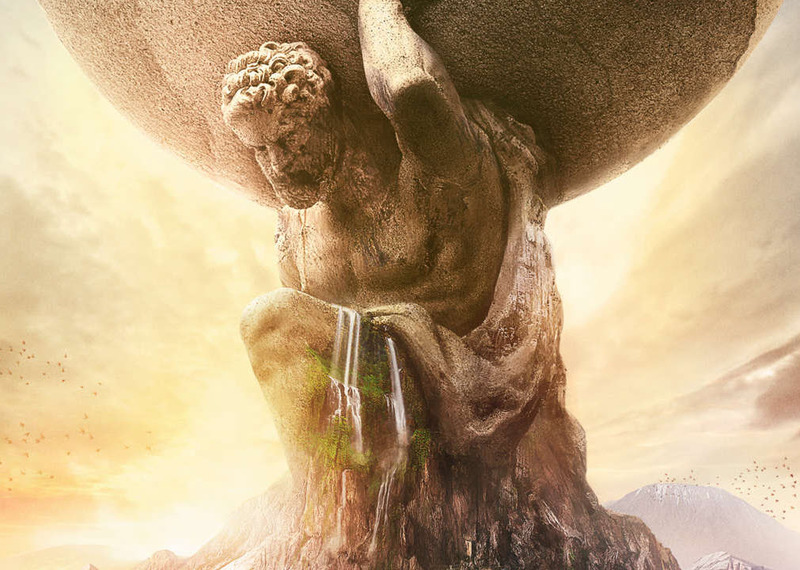 At its worst, Civilization VI is a game with a handful of bugs and a somewhat lacking AI that is wrapped up in a somewhat cartoon-like package. 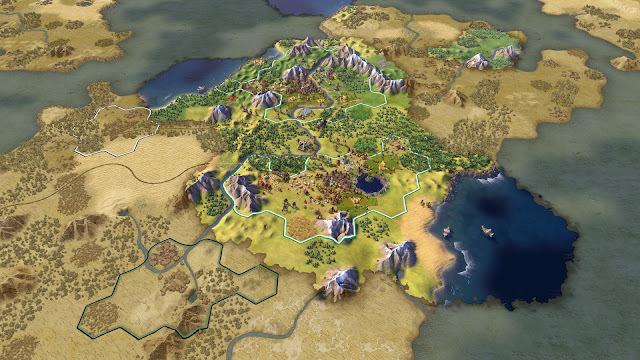 At its best however, Civilization VI is an engrossing 4X strategy game that has more depth and features than ever before. The vast majority of my time was spent feeling the latter, as I sunk dozens of hours in over the first couple of days, sucking down soda and eating food I should probably never admit to, but the 'one more turn' carrot dangling in front of me was an impossibly alluring one that kept me coming back for more. Every time my game ended, I looked back over what I had created with a genuine sense of curiosity and pride as I examined what my culture had begun as, and the tell tale marks of progress as you could actually see the passage of time playing out over my country.